Originally sold in three printed volumes, now combined in one gigantic PDF. Ever since the Abbott Magic Company started business in 1934, hundreds of card tricks have been offered for sale in their catalogs. As each new catalog was published, many of these tricks were omitted to make room for newer ones ... but like good books, great music and fine art, these effects of card magic still remain classics. Gordon Miller, who has been a member of the Abbott staff for over thirty years, delved into the archives and compiled over three hundred of these effects into this huge collection. Almost all of these effects were priced from one dollar and up in the old catalogs. If purchased separately they would have cost hundreds of dollars. Abbott's Anthology of Card Magic contains the complete text of the following current Abbott Catalog titles: Advanced Card Magic , 49 Easy Card Tricks , Deceptions With a Short Card , Hit the Deck , How It's Done , Impromptu Card Routine , Jumbo Card Tricks , Magic Card System and Tricks With a One-Way Deck . Plus... the complete text of these out-of-print and otherwise unobtainable titles: Amazing Card Miracles , Card System Deluxe and Klever Kard Kodes . Plus... the complete text of the following current Abbott Catalog effects: Abbott's Ten , Astral Diviner , Blankety-Blank Routine , Cardtration , Color I-Do-As-U , Gambler's Expose Act , Ingenio , It's A Pip , Lesson in Card Magic , Quadruple Poker Deal , Simplex Four Aces , Straight Gambler , Think-It , Tricky Deal , Zen's Card Miracle and Zen's Fifteen Card Trick . 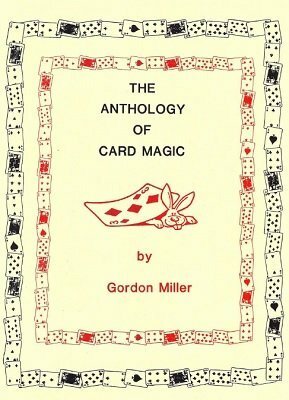 This is a must have reference book for anyone who is serious about card magic. Here is a chance to get unobtainable effects that have been long forgotten, but are new to today's audiences.